Ms. Wayétu Moore was born in Liberia, West Africa, and raised in Spring, TX. Moore is the founder of One Moore Book (www.onemoorebook.com), a boutique publisher of multicultural children's books aimed at readers in countries with low literacy rates. She’s the founder of MBI, a 501 (c) (3) non-profit organization that builds bookstores, libraries and reading corners that serve underrepresented groups. Her first bookstore opened in Monrovia, Liberia in 2015. 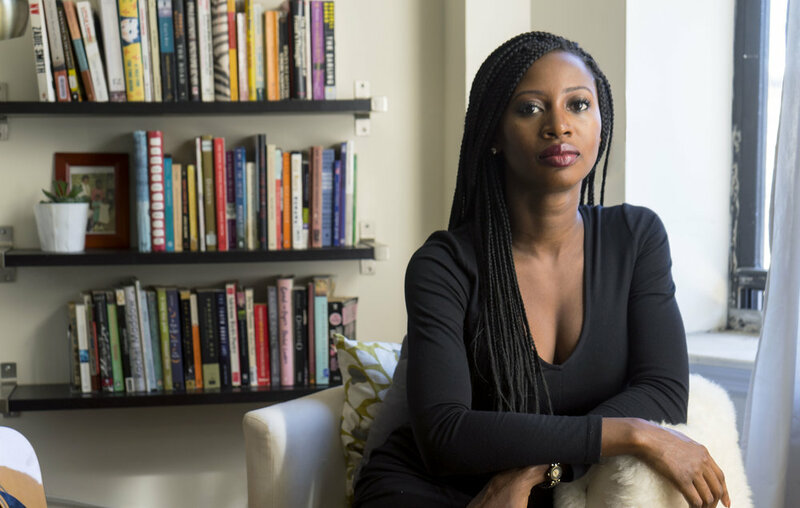 Her novel, She Would Be King, a debut written in magical realism which reimagines Liberian history through three characters, will be released by Graywolf Press in 2018. Her writing can be found in Guernica Magazine, The Rumpus, The Atlantic Magazine, Gawker, The Huffington Post, Waxwing Literary Magazine and various other literary journals. She has been featured in The Economist Magazine, NPR, Uptown Magazine, NBC, BET and ABC, among others, for her work in advocacy for diversity in children’s literature. She’s a graduate of Howard University and the University of Southern California, and is currently a Margaret Mead Fellow at Columbia University Teachers College, where she’s researching the impact of culturally relevant curriculum and learning aids in elementary classrooms of underrepresented groups. Moore is an Africana Studies professor at City University of New York’s John Jay College and lives in Brooklyn, NY.